About a year ago I bought a Fons & Porter 60 degree triangle ruler, today was the first time I used it and I am madly in love! I fussy cut some fabrics then sewed 1 & 3/4″ strips around each side. 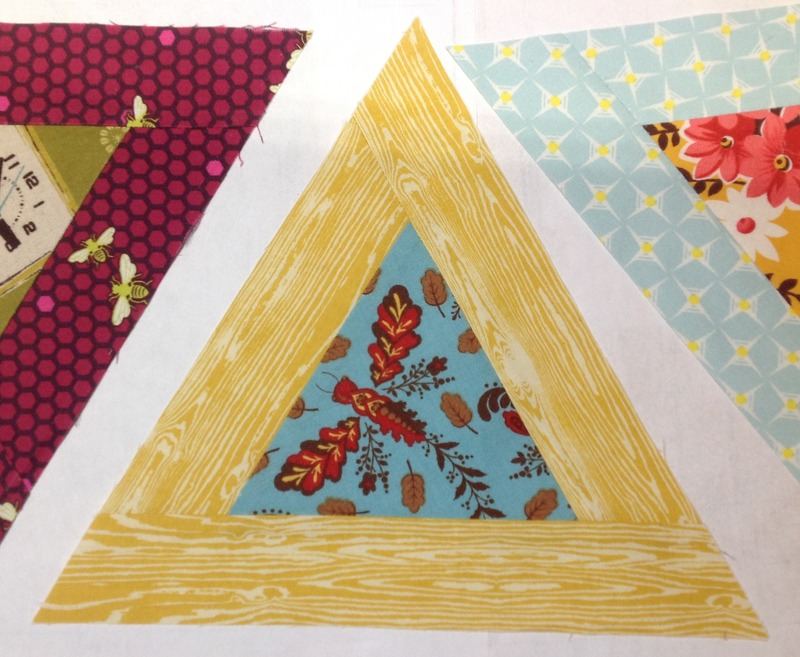 The inside triangles finish at 4 & 1/2″ and the borders are 1 & 1/2″. I love the colour combinations of raspberry, yellow, orange, light blue, olive green and a dash of purple. 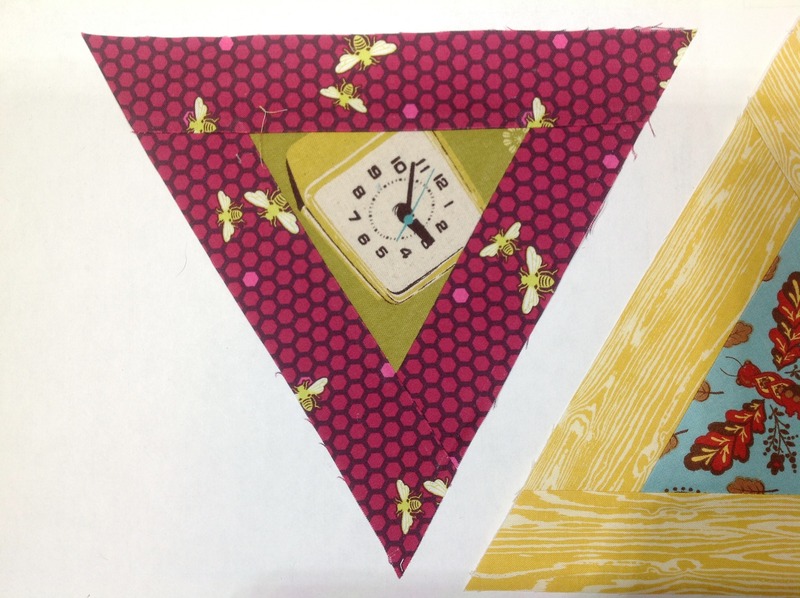 My favorite combination is the raspberry bee print surrounding Melody Miller’s retro clock in olive. Can’t wait to make more and expand. 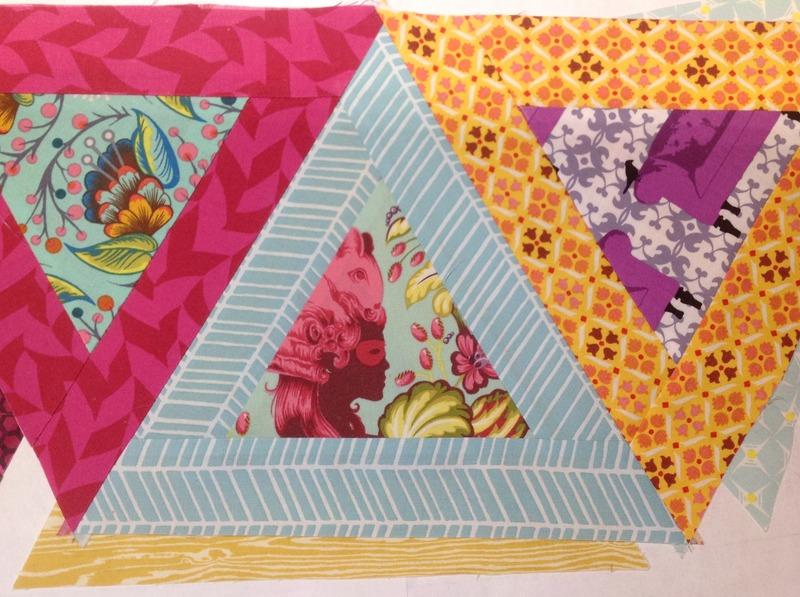 This entry was posted in Quilting and tagged Fons & Porter, Joel Dewberry, Melody Miller, Triangles, Tula Pink by Tabatha. Bookmark the permalink. 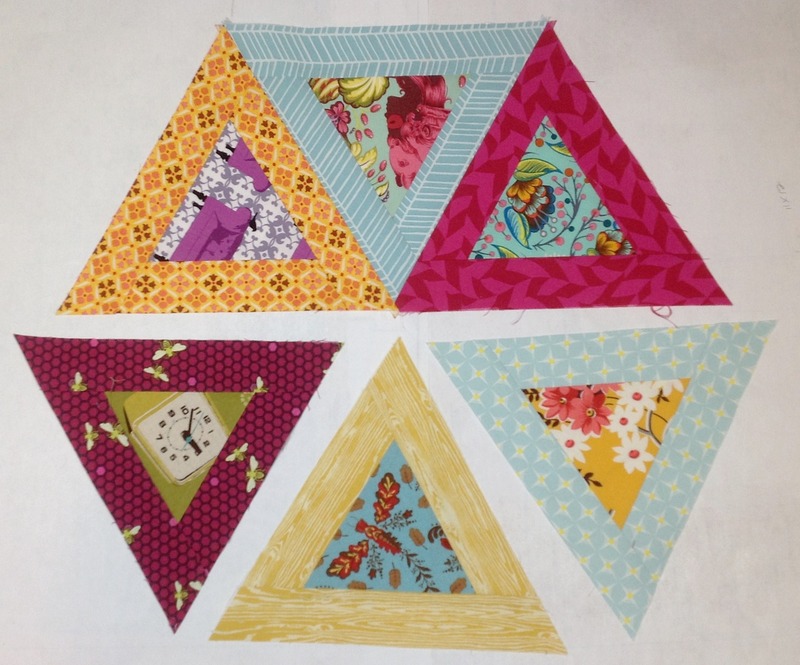 I have to say I don’t like too many gadgets in my quilting, but triangle rulers are one I wouldn’t be without. Looking forward to seeing the next post on this – it looks like a really interesting quilt.